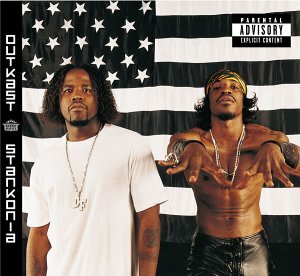 Once again, outkast comes out with a tight CD. With their unique combination of funk and hip-hop from the ATL, they make some classic tracks like "Gasoline Dreams", "Spaghetti Junction", and "Bombs over Baghdad". Throw in some interludes between most tracks for comic relief and you have a CD that is well worth the cash. It took me a couple times listening to the CD to hear some of the lyrics and what they were talking about. I find that this happens with most hip-hop/rap CD's I listen to. LB's Recommendation: GET THIS CD.